Our Network was started in 2013 by its founding partners, BMW Foundation – Herbert Quandt and Taproot Foundation, and specializes in the coordination of pro bono projects, often in close partnership with companies. In partnership with the BMW Foundation supports the Global Pro Bono Network to foster a global support network for the field of pro bono service. The Global Pro Bono Network is a group of independent NGOs from around the world who have been inspired by the Taproot Foundation to develop their own pro bono programs. 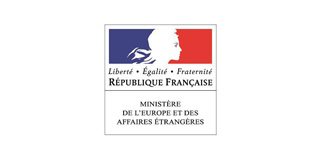 The French Ministry for Europe and Foreign Affairs (Ministère de l’Europe et des Affaires étrangères) supports international cooperation and initiatives contributing to the reinforcement of civil society internationally. As the Ministry acknowledges the Global Pro Bono Network as a capacity builder, it has agreed to support the Network, including its development and structuring in 2018. 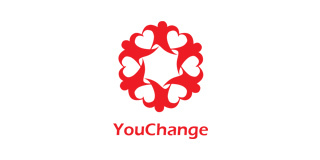 YouChange promotes social justice and development by creating social innovation networks for co-operation across sectors within China. Its main activities include research and development, pilot and incubation projects, grant making, also the application of people centered social value investment models and standards. In partnership with the Taproot Foundation supports the Global Pro Bono Network to foster a global support network for the field of pro bono service. The Global Pro Bono Network is a group of independent NGOs from around the world who have been inspired by the Taproot Foundation to develop their own pro bono programs. Partners Council members support the Network leveraging their knowledge and advising on proposed goals around strategy and growth. Partners Council members provide governance recommendations and identify movement trends to support the development of the Network. The Partners Council is an advocate for identifying and promoting opportunities to spotlight members and the Network, overall leading to growth and visibility. Learn about your positive impact on the social sector and the ripple effect of training, insight and guidance given during the Global Pro Bono Summit. Build relationships with thought leaders, CSR professionals, corporate executives, key government partners, and social sector organizations on an international stage. An international community of pro bono providers will bring your positive brand back to their home countries. Invitation for the Global Pro Bono Summit and the Regional Pro Bono Summits. Invitation to private Partners Council meeting during the Global Pro Bono Summit. Invitation to share their pro bono programs and knowledge in the Global and Regional Pro Bono Summits. Updates on GPBN news, events, development of the Network news and programmes, etc. Acknowledgment on GPBN website, summits, PR, social media and videos. We seek to build more strategic alliances for having a strong impact on solving social challenges globally. Corporations, Foundations, and Governments exploring innovative ways to further advance civil societies are welcome to discuss how we can collaborate. Pro bono offers an effective way for companies to extend their operations beyond core business interests, into other areas that engage with social and environmental concerns. Pro bono is an area where foundations are able to play an integral role by supporting the social sector through direct funding, and the capacity building that it brings. Through pro bono, the public sector can support various social programs and civic participation, while raising awareness about social issues and encouraging philanthropy.